Kingston, ON – In November 2016, Smith and the Canadian Olympic Committee struck a partnership to provide scholarships for Olympic and Paralympic athletes. Over eight years, some 1,200 athletes will be eligible to enroll in various Smith programs. With the Winter Olympics just a month away, we’re highlighting COC/CPC athletes who’ve attended Smith. First up this week: bobsleigh great Jayson Krause. Kingston, ON – The list of Canada’s Most Powerful Women for 2017 was recently released and 11 of this year’s Top 100 women are graduates of Smith School of Business programs. Kingston, ON – June 8, 2016 – In May, the Financial Times released the 18th edition of its executive education rankings, with Smith School of Business moving up one spot over its 2015 open enrollment ranking. 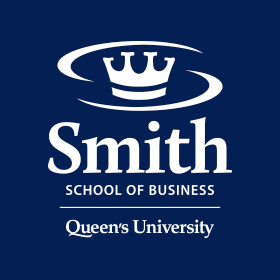 KINGSTON, ON - June 18, 2015 - In May, the Financial Times once again ranked executive education at Queen’s School of Business among the top 30 programs in the world.